Geretta Geretta of Demons fame is one of only two survivors of said “night of terror” in this mediocre Italian outing…at least until the surprise ending. In this post-apocalyptic future, Earth looks a lot like Mad Max filmed on a vacant construction site, and rats like to eat people. In truth, these rats are about as docile as vermin get; we’re supposed to ignore the fact that production assistants are hurling them at the actors from off-screen. 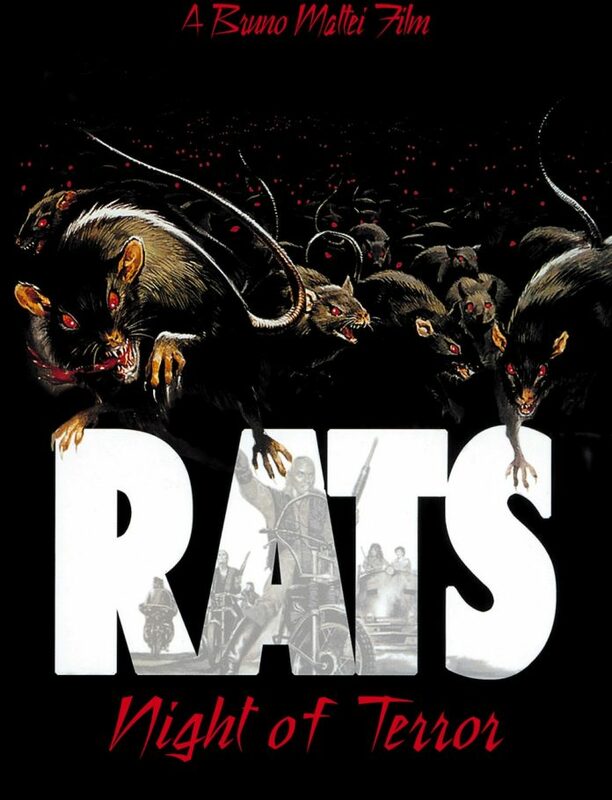 The utter lack of interest from the rats and the utter lack of excitement in the plot makes this film a lot less interesting than the premise implies. You didn’t mention Geretta played a character called Chocolate. Where do they get those names? Also, cutest killer rats ever.